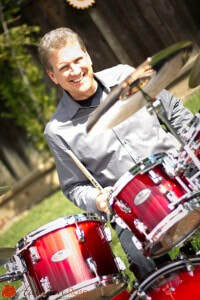 Steve Funderburg is a bay area drummer and educator. He is currently studying drum performance and drum instruction with world renowned drummer and educator, Tommy Igoe. Steve has been teaching drums and vocals, as well as beginning piano and guitar and music performance for many years in the Bay Area. He also written many songs and has recorded with many accomplished musicians over his 40 years of playing. In addition to recently producing his first CD, Steve has performed with many jazz, blues, R&B groups, and even a well known country rock group, Roadside Attraction. In taking lessons with Steve, you will learn many different styles of drumming and performance techniques.